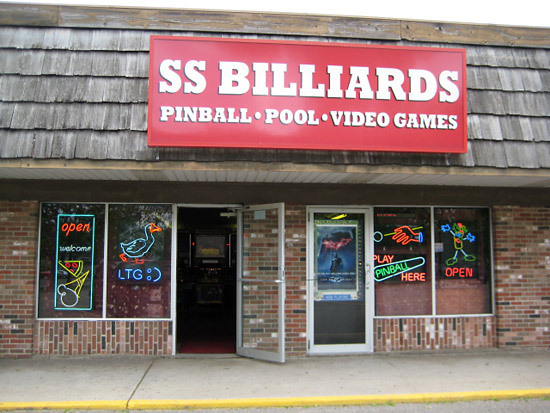 Location: SS Billiards, 732 11th Avenue South, Hopkins, Minnesota 55343, USA. 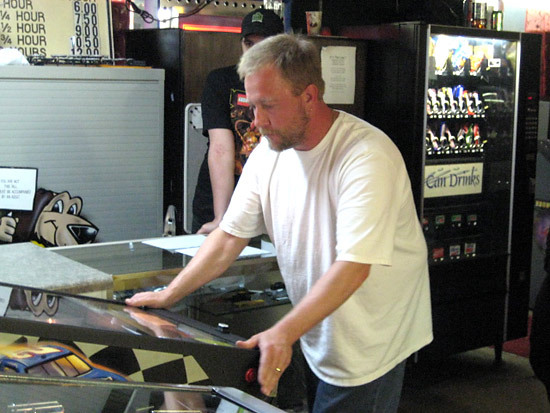 On May 1st, 2010 SS Billiards in Hopkins, MN held its sixth annual May Day Pinball Tournament. Different this year; the event was invitation only. 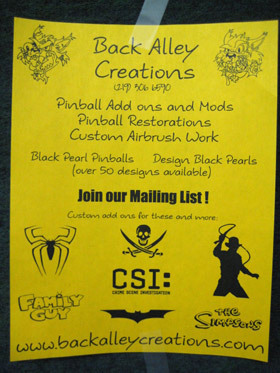 Below is a copy of the invitation. 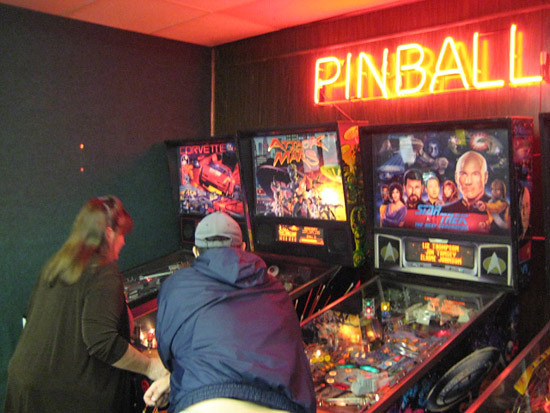 The schedule of events are planned for a day of fun for pinball enthusiasts to compete and enjoy the company of their fellow friends. The regular business hours for that day are noon to midnight. The Ladies event will be at 4pm. Famous Dave's ribs arrive at 6pm. The main tournament at 7pm. The Ladies event will have a $100.00 purse. 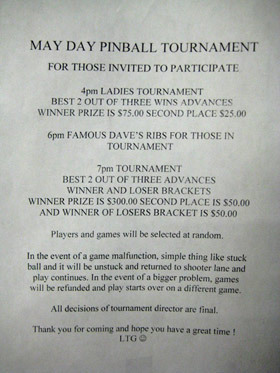 $75.00 for winner and $25.00 for second place. The main tournament will have a $400.00 purse. $300.00 to winner, $50.00 to second place, and $50.00 for winner of losers bracket. 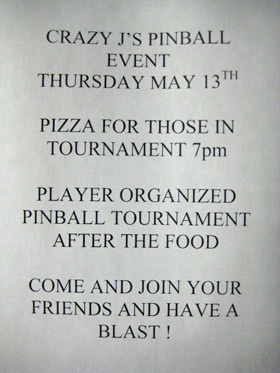 There is no entry fee, games will be on coin play. 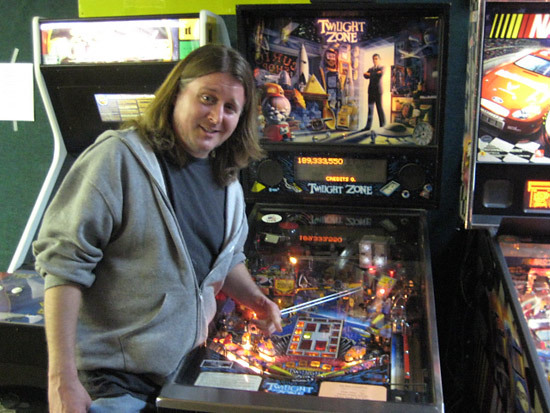 at Joe Esposito's favorite place to play pinball ! 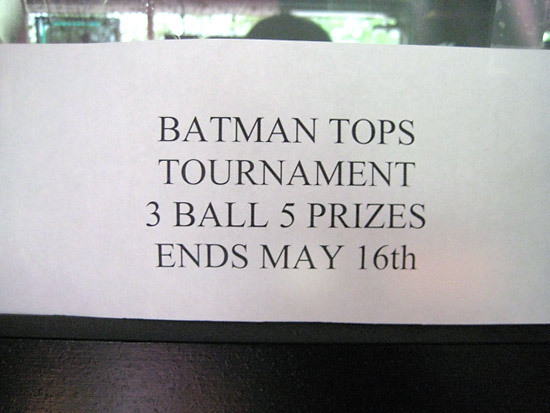 Not part of the 2010 May Day event, but happening during the event, were three-ball ToPS tournaments on both Spider-Man and Batman. 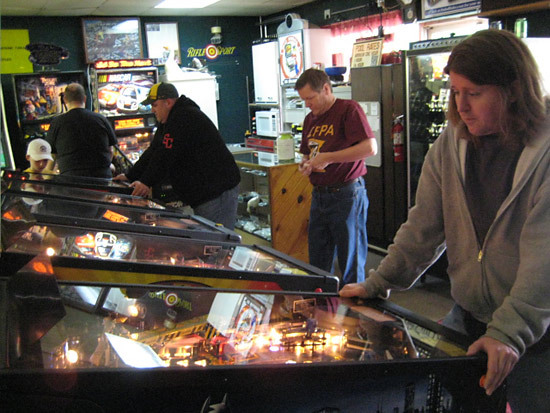 Two games were for sale while this year’s May Day pinball tournaments were being held. 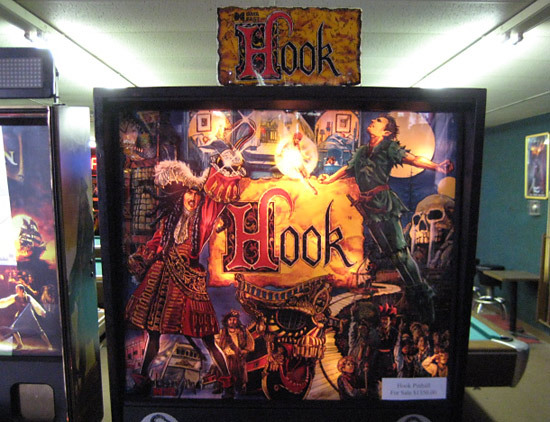 The second game for sale was “Hook” (Hook). As those invited did not have to pay an attendance fee, no registration was required; only an invitation. 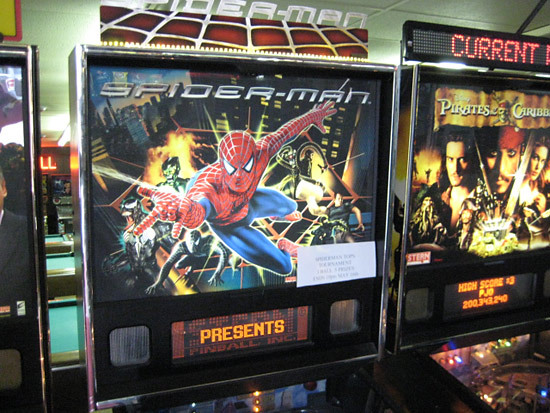 From the schedule above, you can see that two pinball tournaments were held. The first tournament was for the ladies and the second was an open tournament. 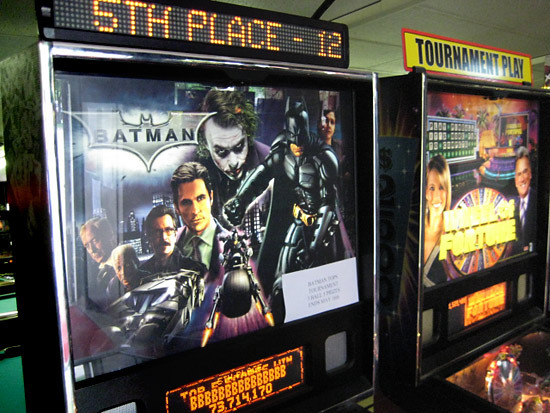 Both tournaments were best two-of-three with players and games being drawn. 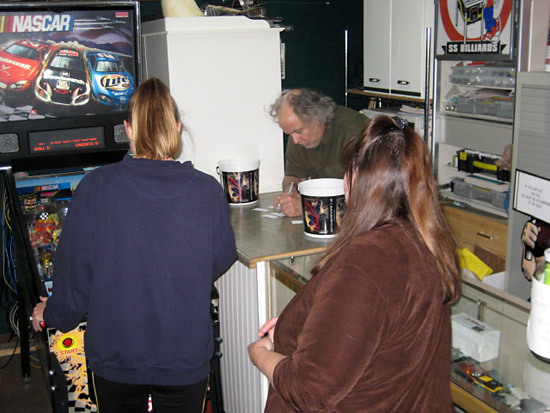 Keeping with the original spirit of PAPA, the competitions were held during a normal day in the arcade. 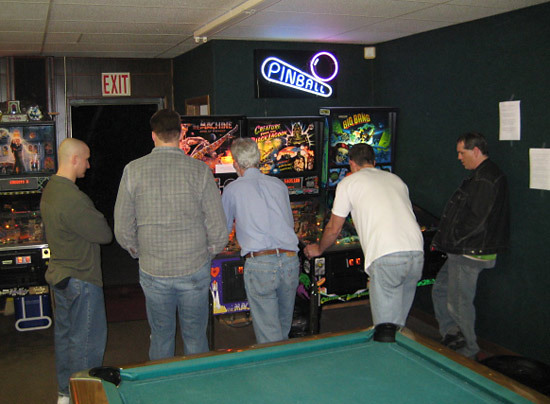 This meant that players occasionally had to wait for a non-competing customer to finish his or her pinball game before the competitors could have their turn. Practice got under way at 12pm and went until 4pm. The Ladies Tournament started at 4pm. Ribs were served at 6pm. The open tournament started a little late at 7:15pm and lasted 'til after midnight. There were only two problems reported during the event, both of which happened later in the day. 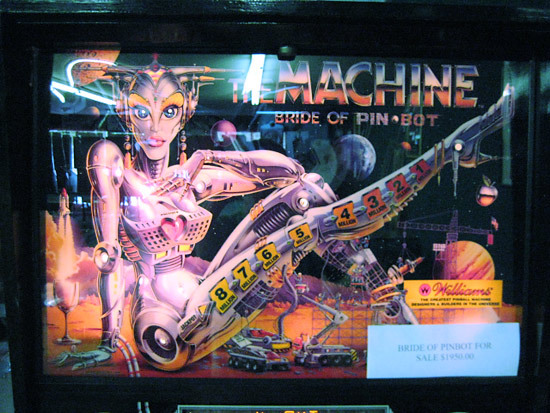 The first was a loose screw on the playfield of “Medieval Madness” (MM). The second was that the right flipper on “Creature from the Black Lagoon” (CftBL) would not stay up. The Ladies Tournament finished in time for dinner. The first place winner was Diane. 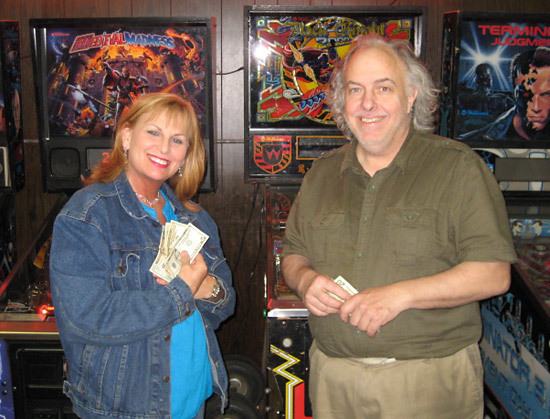 Along with her cash winnings, Diane also won a gift certificate to be used at a local spa, which was donated by Dave G. Sandy was the second place winner, but did not wish to be pictured. At 6pm, a break was taken for food. 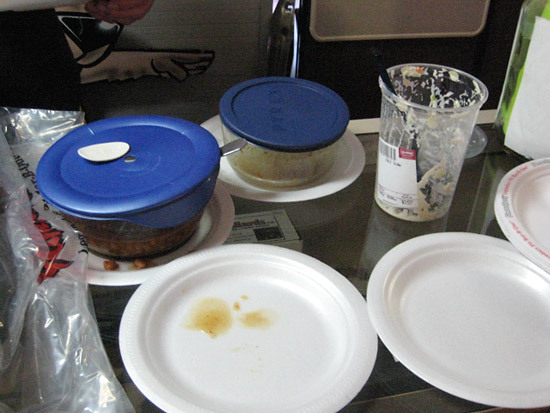 This is when Lloyd had dinner delivered from Famous Dave's. 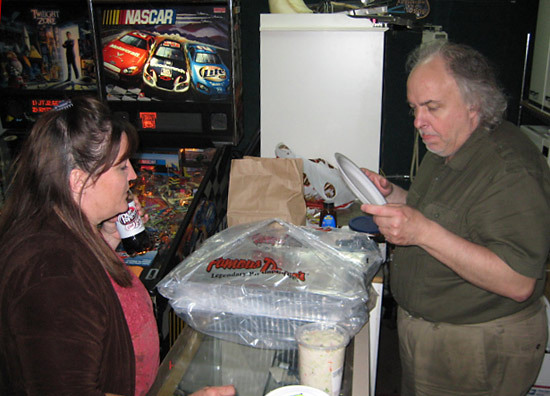 Dave and Sandy brought in coleslaw while Ruthann and Dan brought in baked beans. At the dinner break, a little after 7pm, Joe finally made it to Lloyd’s arcade. Not everyone attended to compete in the tournaments. 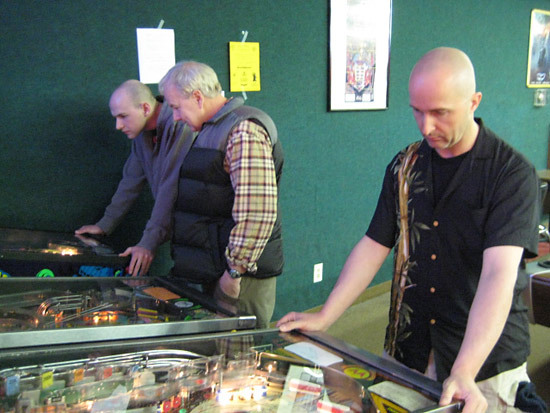 Some pinheads just came in order to enjoy themselves. 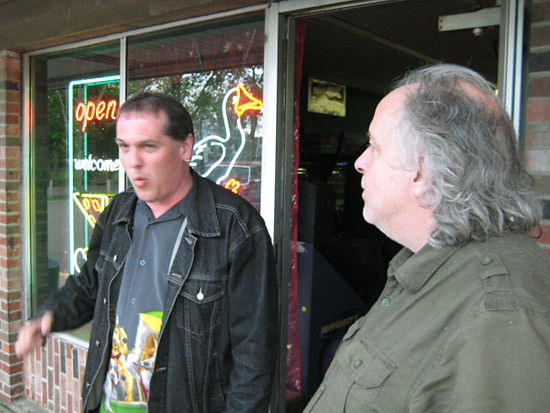 The open tournament was split into two brackets; the Winners and the Losers. 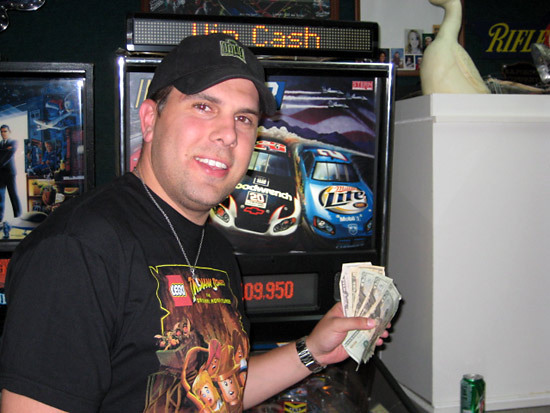 The winner of the Winners bracket was Mike. The runner up of the Winners bracket was John. The Losers bracket took longer to compete. 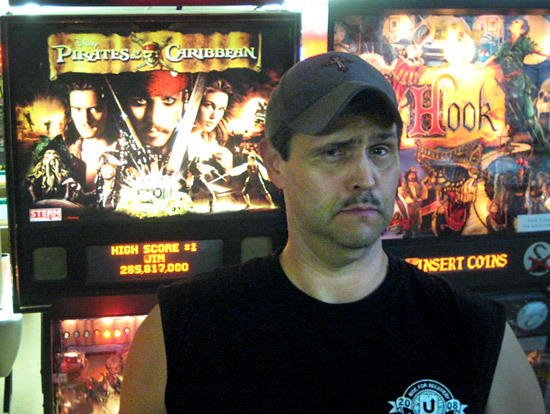 Dave found himself victorious after a long night of pinball fun. Just for fun… Click below if you want to see a short video Lloyd’s goose walking. Lloyd changed the games back to “normal” play first thing Sunday morning. 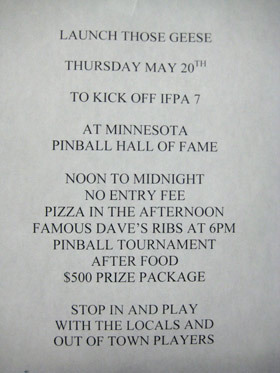 Be sure to check the Diary Section of Pinball News, for the next May Day tournament. 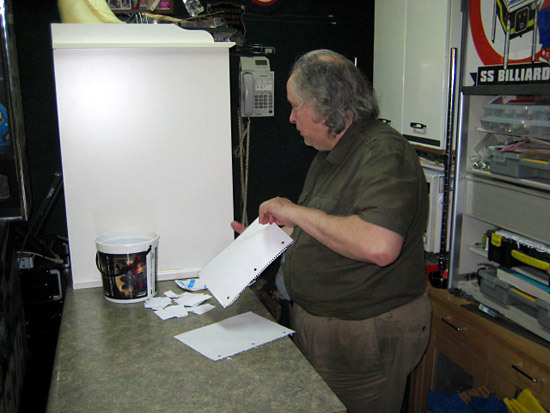 Because we can’t wait until then, Lloyd will be hosting his Launch Those Geese Party on May 20th, 2010.